A few weeks ago some friends were over for dinner. I was told that my friend was bringing something special for the meal. We made chipotle-marinated pork chops with chimichurri sauce along with asparagus with balsamic tomatoes (it was amazing). After we all had our fill, out came the surprise a vintage 1987 port by Martinez. 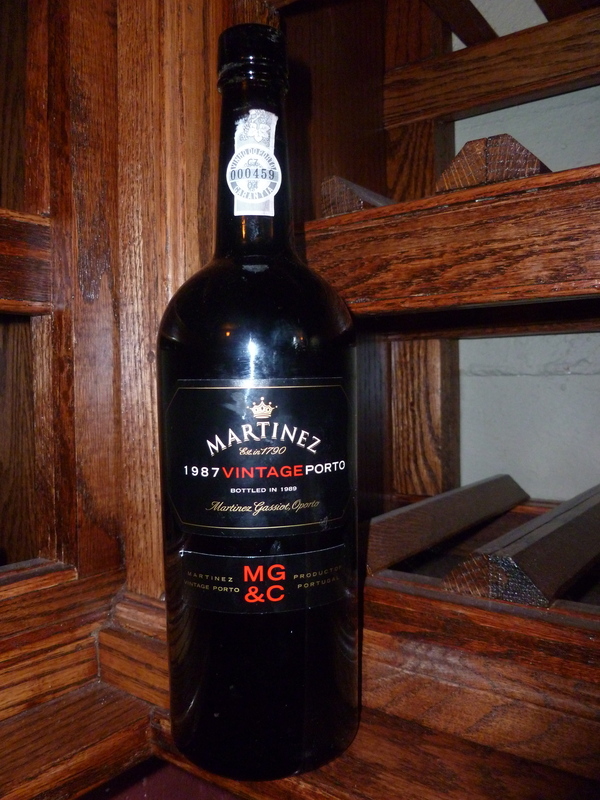 I had never had the privilege of trying a vintage port let alone a wine of this age I was incredibly excited. Not knowing the condition of the cork we took our time opening the bottle. After no issues, I poured a little into my friends glass and he took a sip. I saw a smile come over his face and I had to ask the obvious, how was it? what he said next was simple but spoke volumes ” This is so smooth, and I have to say this is the best port I have ever had”. From that moment I knew that we were all in for a great rest of the night. Some of us were not big fans of port to begin with but its amazing when you try something that is of a high quality and a superb taste how easily your opinion can be swayed. 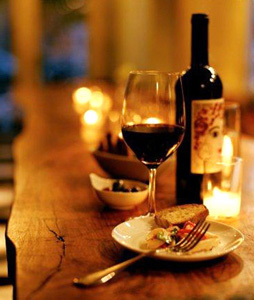 As the evening wore on we began to talk about the age of the wine and what we were all doing at the time the grapes were picked and the wine was bottled. It is truly amazing that something so old can still be so good. I guess it is true what they say, things do get better with age!